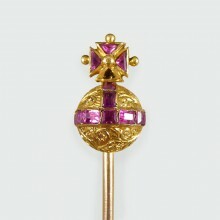 This pin was hand crafted in the Edwardian era. 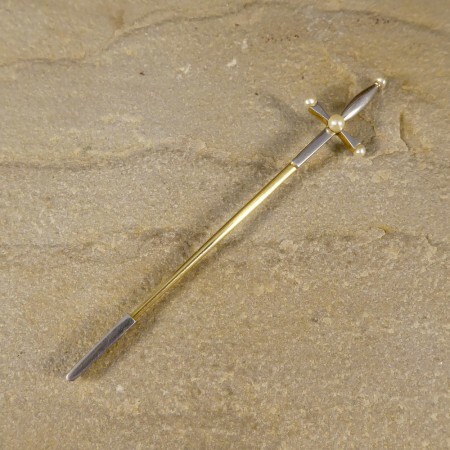 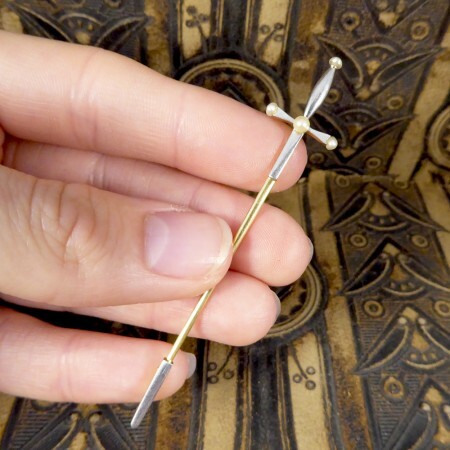 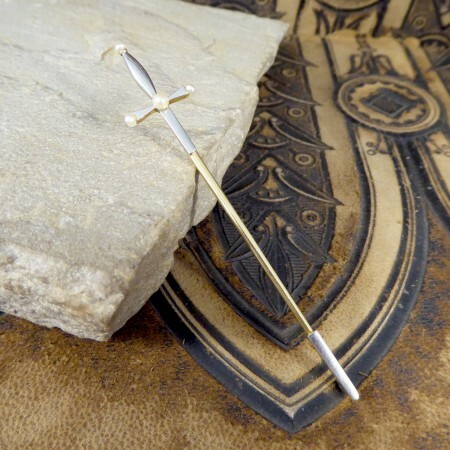 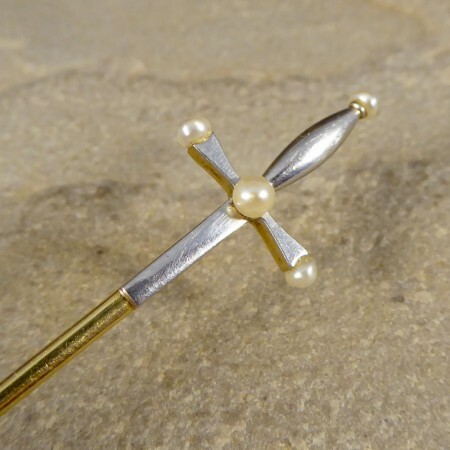 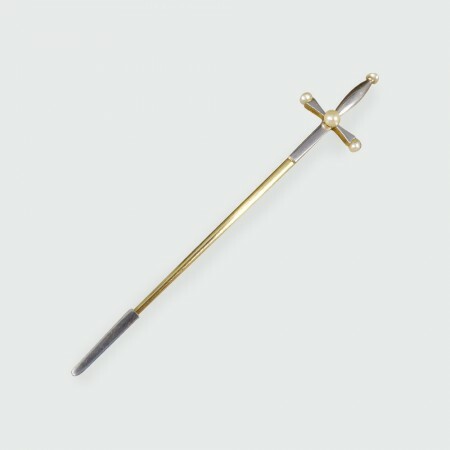 Made from both 15ct yellow Gold and Platinum with clear stamps on the back of the pin, the main body of the pin is 15ct yellow Gold with a Platinum formed cross topper adorned with four pearls. 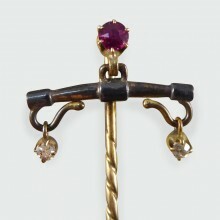 A lovely, simple and elegant antique piece.